Use axis diplomat to gain a better understanding of your business, to drive more informed decision making. 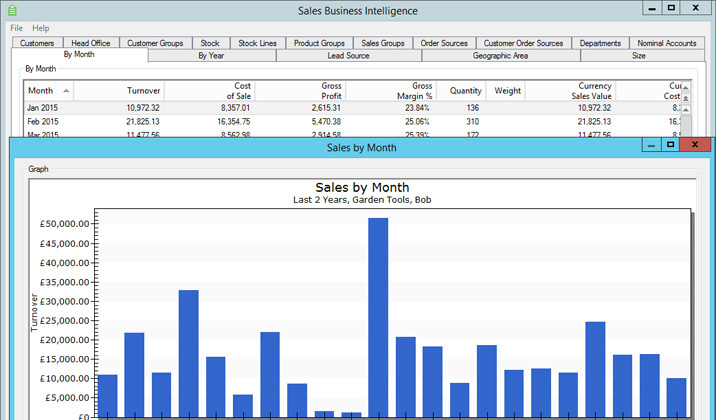 "Bob's Sales" might be a selector including invoices and credits under the order sources of "Bob's Direct Sales", "Bob's Web Sales" and "Bob's Exhibition"
Use your selectors within Sales, Purchase and Nominal Business Intelligence functions to analyse your business over various time periods - for example, produce a bar chart of Bob's Garden Tools sales by month over the last two years. 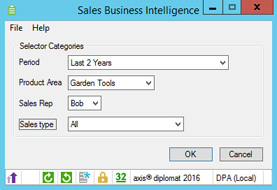 The Business Intelligence function now allows you to drill down into Bob's Garden Tools sales over the last two years in many different ways - including by month, by invidual customer or groups of customer, by individual product and by geographic area. Associate targets with combinations of selectors and build dashboards showing graphs and gauges of actual vs targets. Customise dashboards for each user - for example, Bob can be given a target of �250,000 per annum for Garden Tool Sales and his dashboard can show him where he currently stands against his target. 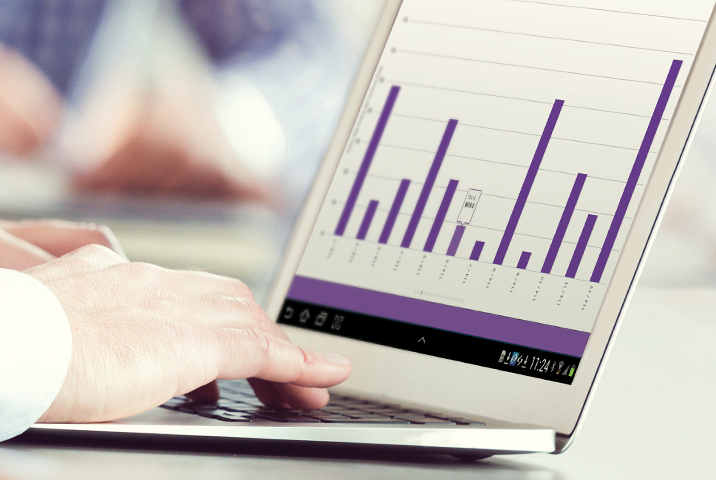 Gap Analysis is the art of using the sales history within your axis diplomat system to identify gaps in your sales to your existing customers, and using that information to generate more accurately targeted marketing. Using Gap Analysis, you can identify customers that buy one type of product but not another, or used to buy a range of products but no longer do. The Gap Analysis function also integrates with Campaign Management to allow you to populate a campaign with the customers that are not buying a range of products (for a promotional mailing, for example) or who do buy a range of products (perhaps for a technical update or product recall).